We've done a couple of articles about Pfsense hardware recently. With the Snooper's Charter arrival in the UK and our American brethren about to have their browsing data sold to the highest bidder, it comes as no surprise that usage of VPN services is increasing to try and maintain a semblance of privacy regarding our internet usage. At linuxserver, I've lagged behind the others in my implementation of a VPN due to time constraints and concerns regarding the ability to share my Plex library with my family. I've finally found some time to look into this and after one or two hiccups, as a new Pfsense user I've finally managed to set things up in a way that works for my use case. Get your VPN from PIA up and running with their rather excellent guide here . I see no point reproducing it here. Although as an addendum as pointed out by /u/ChronicledMonocle on Reddit the one thing the PIA guide does leave out is the need to create a new interface for the VPN connection. 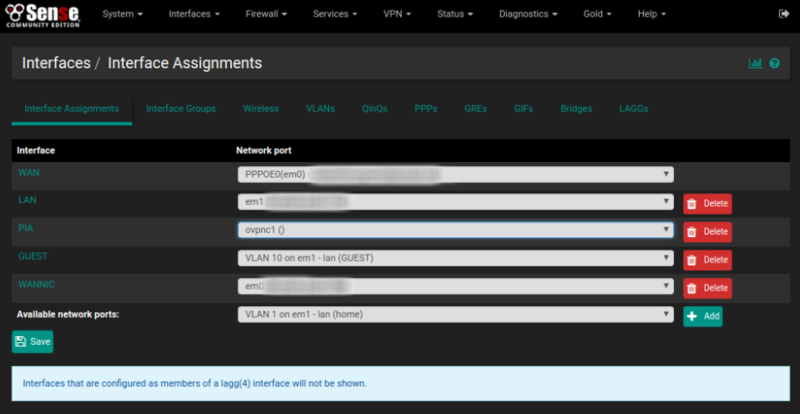 So go to Interfaces=>(assign) and assign the OVPN to a new interface, I called mine PIA. Just to show there's no further config necessary of this interface. Go to Firewall => Aliases and add a new alias like so. Save and apply the setting. 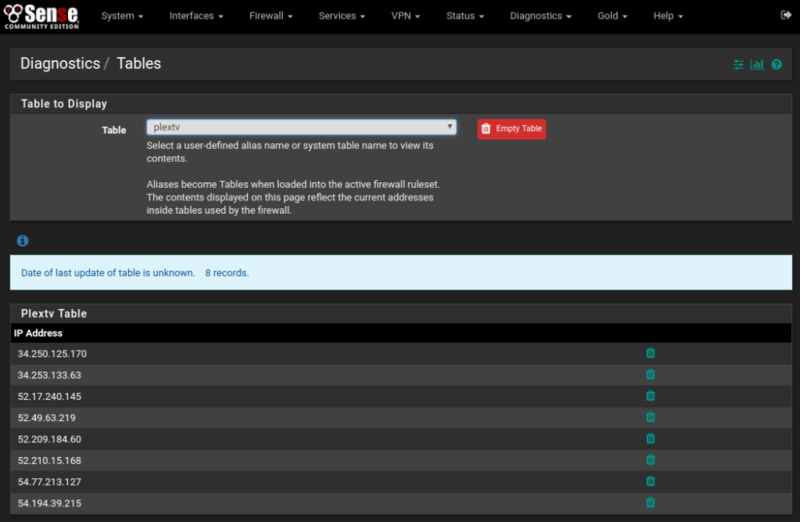 Then if you go to Diagnostics => Tables and select plextv you can confirm that the IP addresses of plex.tv is stored in the table. Next step is to use this Alias to bypass your VPN. 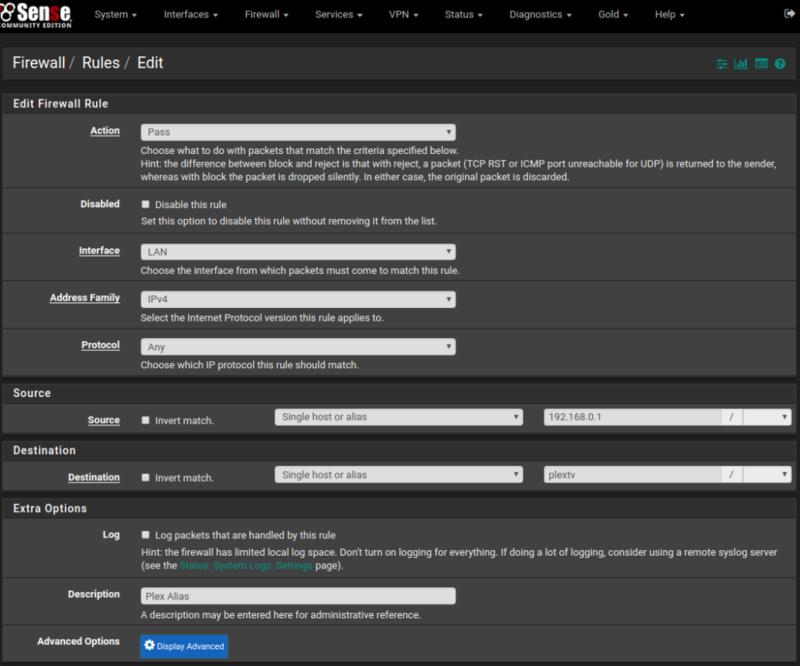 So go to Firewall => Rules => LAN and add a new rule, like so. Note I have put the LAN IP Address of my Plex Server in the source, and the alias, plextv, in the destination. Before you click Save, Display the Advanced Options and alter the Gateway to be your WAN (Non-VPN) connection. 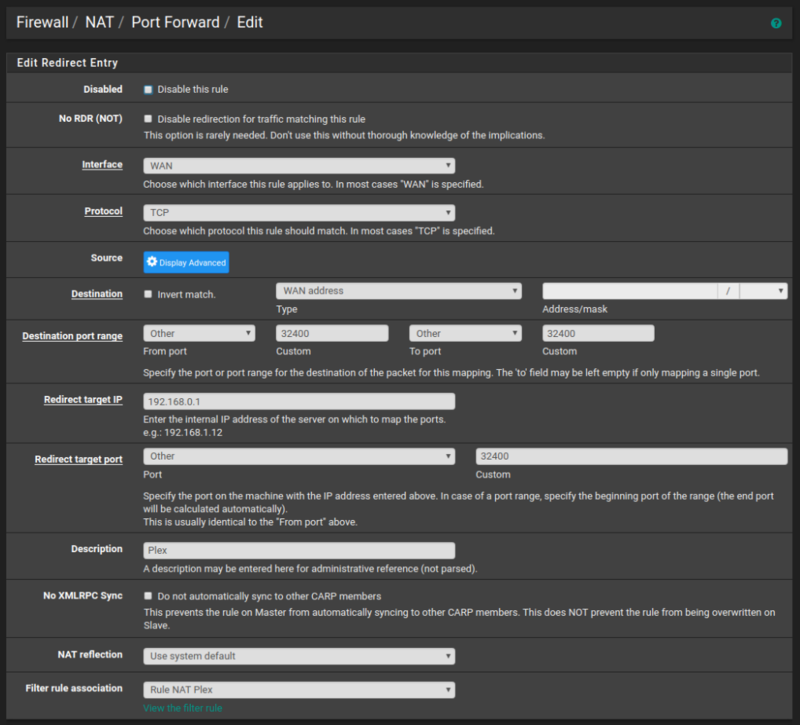 Go to Firewall=>NAT=>Port Forward and create a new rule, ensuring the port is the correct one you have specified in the Plex Server webui and it's pointing to your Plex Server IP address. 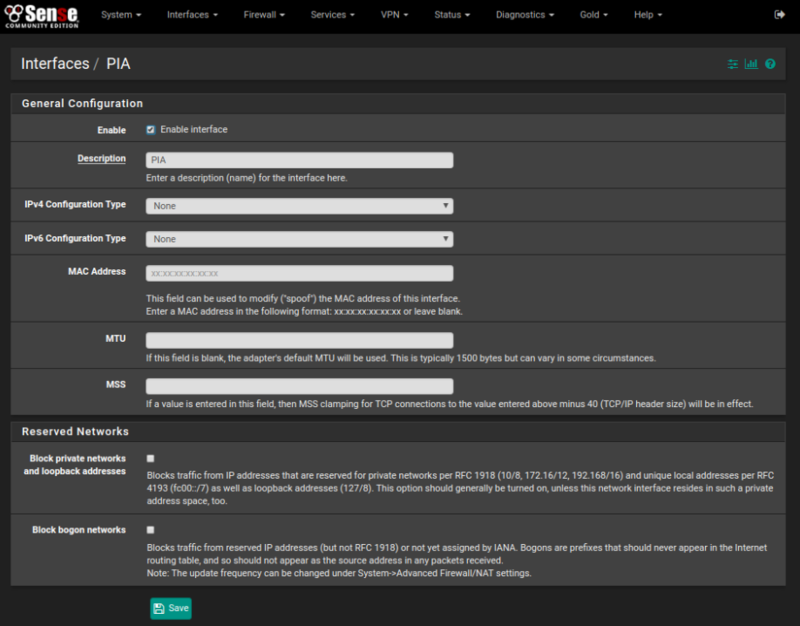 This will also automatically create a corresponding inbound firewall rule directing external connections from WAN to your Plex server. Go to your Plex Server webui and look in Remote Access. You should find the public IP address is that of your non-VPN WAN connection. I originally followed a guide from /u/ChronicledMonocle on Reddit, from there it was just a matter of setting up an Alias. Also got to give credit to a couple of the Plex devs, gbooker and ziggimon for giving me some insights into what happens behind the scenes with Plex Remote Access.